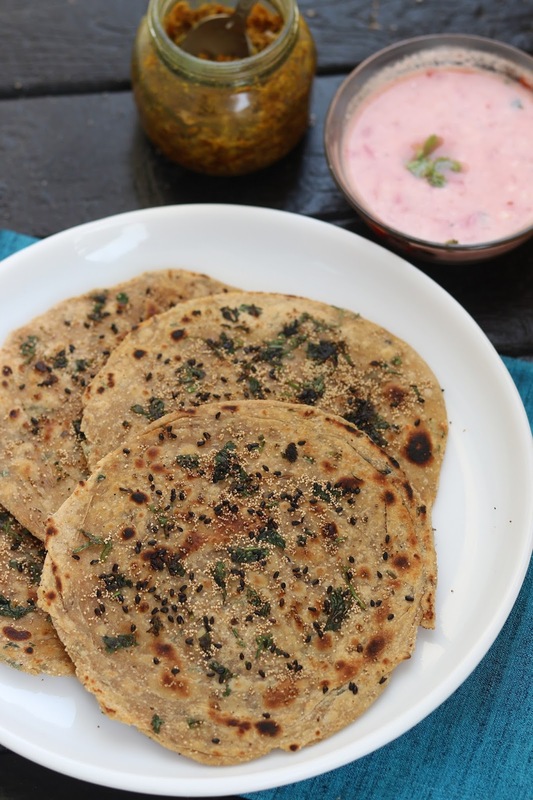 Make your breakfast more healthy and nutritious with healthy paratha recipe. Khus khus or poppy seeds are rich in dietary fiber and good source of iron, proteins. Khus khus paratha is a simple way to include it in daily diet. 1. Soak khus khus in 3 tbsp water for 15-20 min. Grind it in mixture grinder along with ginger pcs to prepare khus khus paste. 2. Except for sesame seeds, add all the ingredients in flour and prepare a soft and firm dough using required quantity of water. Rest the dough for 15 min. 3. 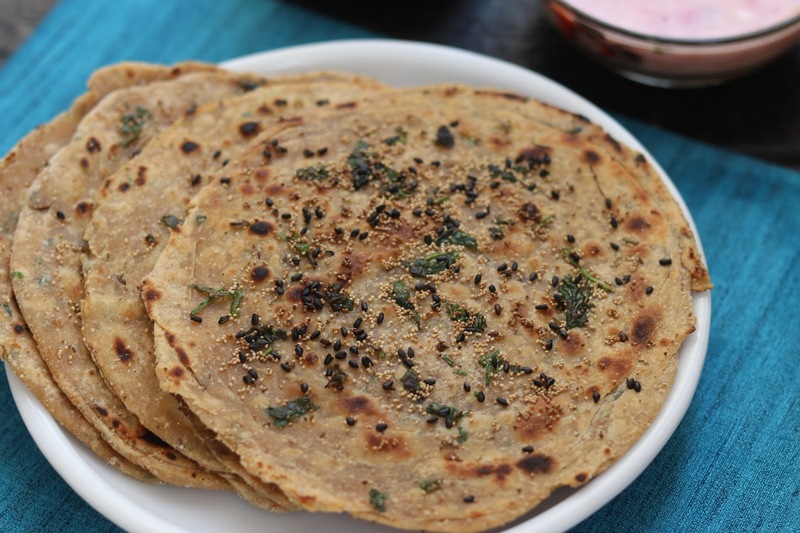 Roll out khus khus paratha using oil and garnish the top of paratha with black sesame seeds, khus khus seeds along with few coriander leaves. 4. Cook the paratha on heated girdle or tawa using minimal oil till crisp from both the sides. 5. Serve hot and healthy khus khus paratha with curd or pickle.